Your Quick Extender Pro is covered by a 100% satisfaction guarantee called the "6 month promise". If you are not completely satisfied with the Quick Extender Pro and the enlargement results gained, you may return it for your Money back. 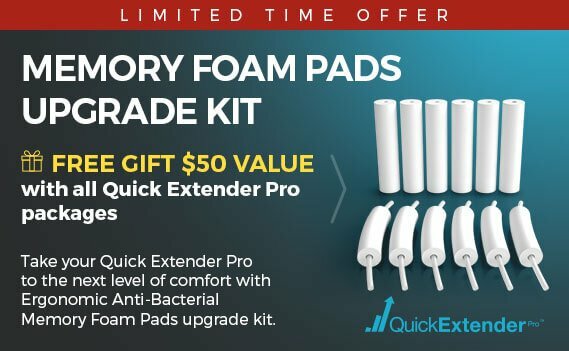 You have 6 Months from the day you receive your Quick Extender Pro to try it out. Quick Extender Pro Inc. is an established company with offices in the U.S.A and Canada. Unlike much of the competition, we are obligated by law to abide by our legally binding guarantee. Why not give the Quick Extender Pro a try, you have nothing to lose and inches to gain!